Is there a difference… Yes! 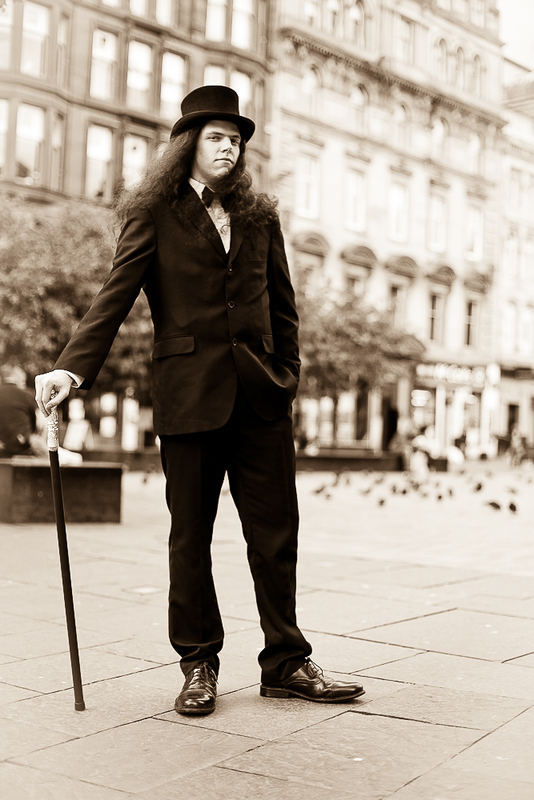 I was out for a few hours in the streets of Glasgow today, capturing the public going about their life. I vary from shooting through the view finder to shooting from the hip when capturing people, and aim for an unposed / natural photo, such as the photo below. 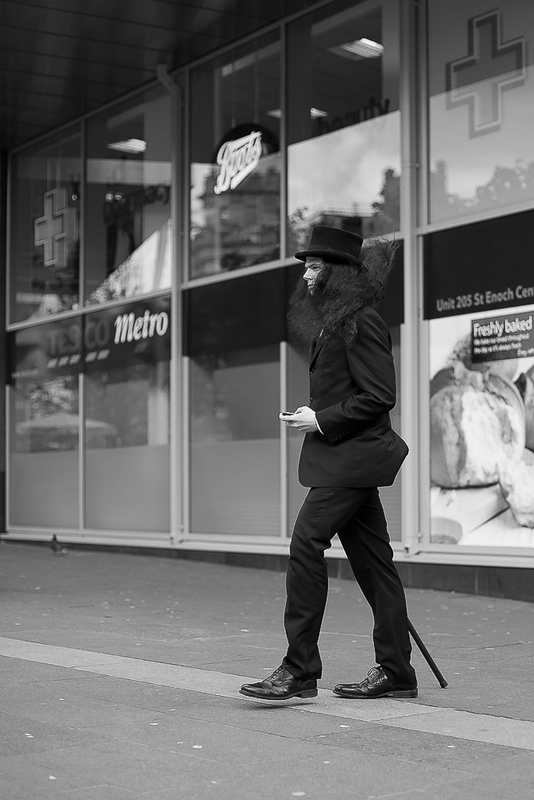 However I was not satisfied with this Street Photography capture above, and I had to make a split second decision there and then, in speaking to this chap as he quickly walked past. I have to stress he was not promoting anything or a street entertainer. I said to him that I am sorry to disturb him, but that he looked dapper, and would he mind me taking his photo. He kindly agreed, but gave me the impression he was in a bit of a rush, giving me a couple of seconds and permission to capture his portrait as seen below. There are just times when a portrait of a stranger with their permission is just a stronger photo. It is up to you as a Street Photographer to know when to do Street Photography and when to do Street Portraiture. Some people may have a problem with me capture a photo of them without permission, and some people have a problem with a posed shot. I don’t care… It is the visualisation and photo I am interested in, at the end of the day. For the Street Photographers who do not like to confront strangers, I say you need to get out your comfort zone. So long as you are being nice and honest, the majority of strangers will allow you to take photograph. And if they refuse then walk on and do not give up on asking someone else. Two people in this situation carried a lot of confidence. You as the photography and this man with his attire. Awesome portrait shot. Love the color too. Thank you Dan, I think he is more brave, especially in Glasgow. The portrait you made of him is stunning! Great work! You are currently reading Street Portraiture V’s Street Photography at Zeno Watson.